When your Nissan vehicle is entering a corner, the differential is what allows the outside wheels to turn slightly faster than the inside wheels to give you a perfect driving experience. Many owners have told us that they didn’t even know that their vehicle had a differential until it went bad and needed repairs. All-wheel drive Nissan models have a differential on both axles. These models also have a transfer case between the rear and front axles to compensate for the speed variation between the rear and front. Serious power is being transferred throughout the differentials and they require routine Nissan Differential Service to keep them properly lubricated and cool to protect the internal gears. It is for this reason that at Lang Nissan at Mission Bay that we designed a preventative maintenance rear differential service that helps your rear differential last as long as possible. If you hear strange noises from the differential and fail to repair it, the differential can seize up when you are driving and you could lose control of the vehicle. Schedule a Nissan Rear Differential Service at Lang Nissan today if you have any of the warning signs of a faulty rear differential. 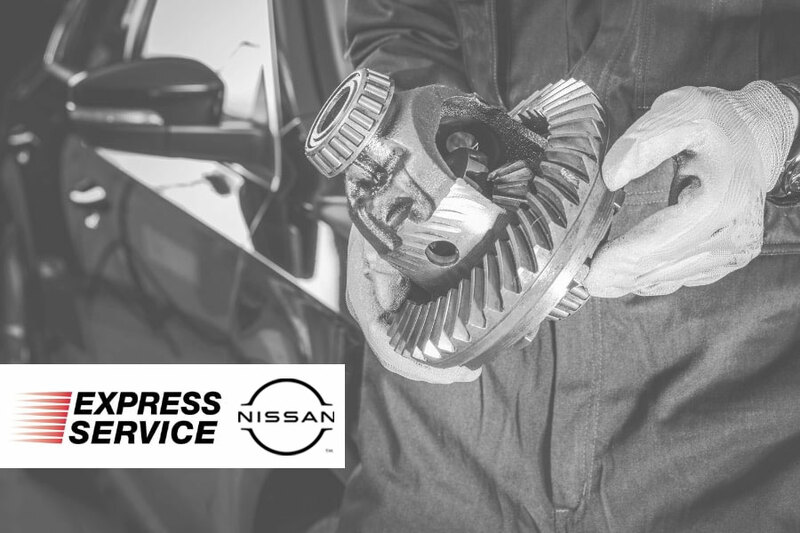 Nissan Rear Differential Service begins with a certified Nissan technician that will inspect your differential fluid levels and top it off as needed. When the fluid gets too low, the differential will be too hot and wear out prematurely. New genuine Nissan approved Differential fluid will extend the life of the differential. A factory trained Nissan certified technician will also inspect major parts including the u-joints and drive shaft. These parts might need lube or filter replacement as well.